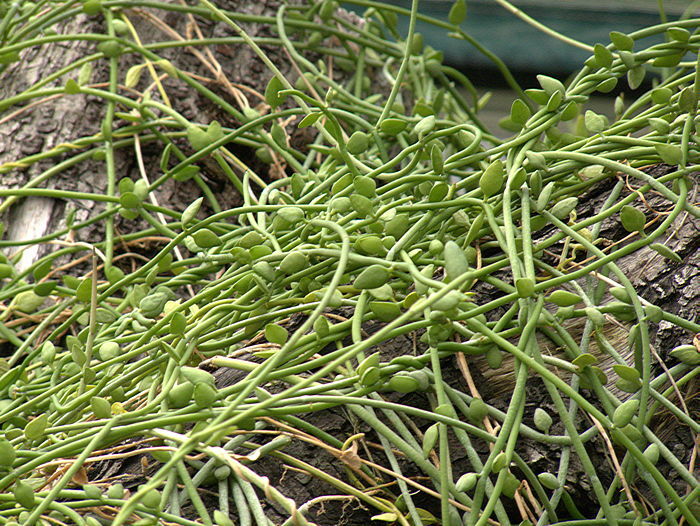 The genus Dischidia includes about 80 species of epiphytes from tropical rain-forests of South-East Asia. They are closely related to Hoya but are less well known and the flowers less showy. Most Dischidia are myrmecophilous and grow naturally in association with ants, either scrambling over ant nests or in some cases producing modified leaves in which ants reside. Some species develop flat (imbricate) leaves held close to the substrate (Shingle Plants) with a mass of roots underneath that provide hiding places for ants. Others produce special wide flat hollow (bullate) leaves filled with a mass of roots that provides house-room for ants. In return the ants protect 'their' plant and provide nutrients from their waste. Wild Dischidias are often inhabited by aggressive stinging ants. 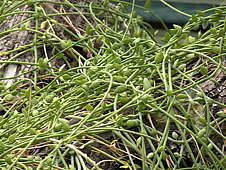 Dischidias grow perfectly well in cultivation without ants, but will then require a little fertiliser. These plants should not be grown in soil which holds too much water, but as epiphytes on coconut husk, bark and damp sphagnum moss. The sphagnum moss must be sprayed regularly to keep it damp although the plants like to dry out a little between watering. Dischidia will tolerate a little direct sun, but are really understorey shade-lovers. They require constant warmth and will not tolerate cold or frost. This trailing plant has pairs of opposite, paddle-shaped leaves along its stems. 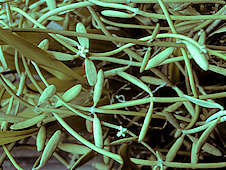 Clusters of tiny, cream-coloured lantern-shaped flowers are produced from the leaf axils. Widely distributed across South-East Asia. 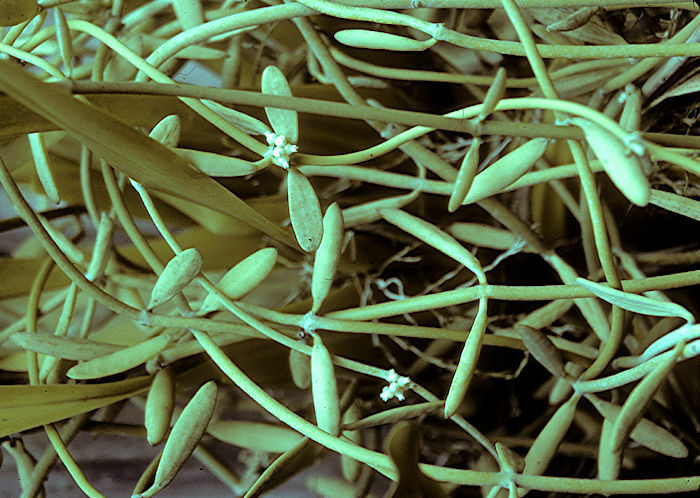 This trailing plant has opposite lanceolate leaves and produces clusters of tiny urn-shaped white flowers.